New York (AFP) - Deontay Wilder will defend his WBC heavyweight crown against Dominic Breazeale in May following the collapse of his proposed rematch with Tyson Fury, it was confirmed on Tuesday. "I'm very happy that I get a chance to get a mandatory out of the way, because I consider mandatories like flies buzzing around my head," Wilder told a press conference in New York on Tuesday. "They bother me. I'm busy. I have things that I want to do. I want to get him out of the way. I'm about to smash this fly. This is a personal fight for me. As the universe works this is the perfect time." "I want that WBC title. What I bring to the fight is excitement and consistent action," Breazeale said. "I'm going to bring the action all night. I'm not scared to stick my nose out there and look for the big shot. I know the big shot is coming as long as I set it up the right way." 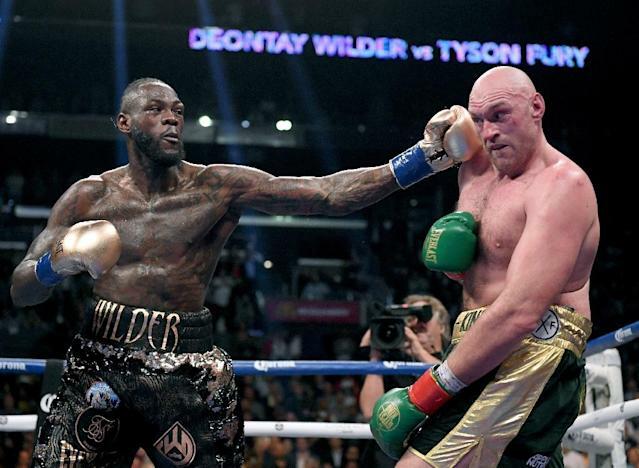 Wilder had been in negotiations for a rematch with Britain's Fury after the two men fought an epic draw in Los Angeles last December which reignited interest in the heavyweight division.